to see the Langsisa glacier and valley. Then descending starts towards Thulo Shyabru (2,100 m.) which is a unique beautiful Tamang village on the top of hill. 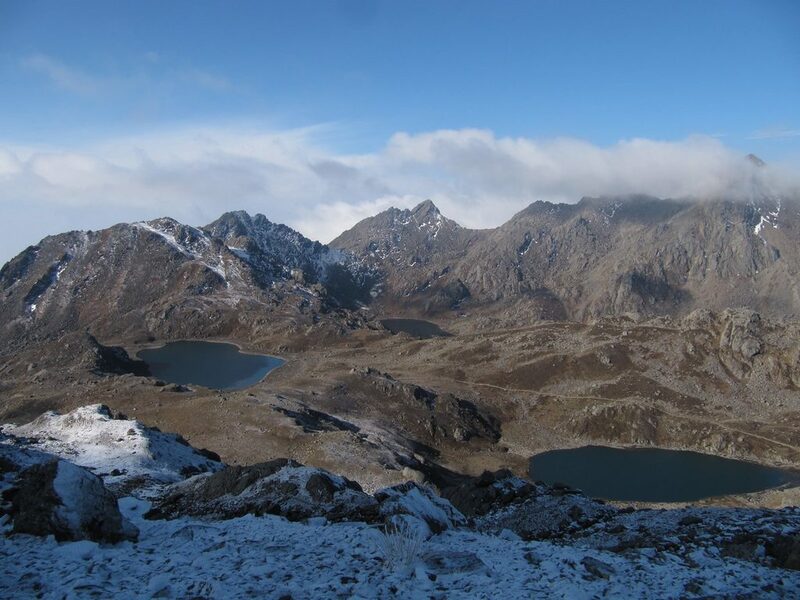 Bhote koshi valley, Trishuli river and valley, some Tibetan mountain ranges, and Ganesh mountain range, langtang mountain range can be viewed from here. 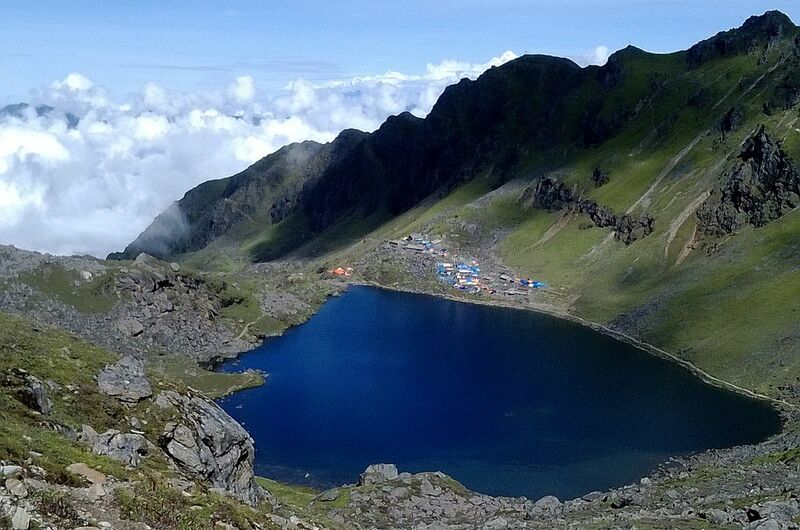 The climb goes up towards Gosikunda which is a religious site to Buddhist and Hindus pilgrimages along the beautiful holy lake through the Laurebina la pass (3,900 m.). During the full moon of August, a great festival takes place here. Pilgrims believe that the water from the Gosikunda Lake has magical healing powers. More than 400 peak are seen from here including Shishapangma (8,012 m.) the last high mountain above (8,000 m.) in Tibet. Continuing the trip to pass Gosikunda pass (4,610 m.) and descending to the Thadapati takes trekkers to the the Helambu trek or Kutumsang and Chisopani which can be followed to reach back to Kathmandu. This trek ends at Sundarijal near Kathmandu. Tamang people and their culture. Evergreen forest and wild life.